Our philosophy is to provide the highest quality medical, surgical, and dental care to all of our patients; to treat our patients humanely and compassionately; and to treat our clients and our staff with the utmost respect and concern. With that as our primary goal, we hope that you will feel welcome and appreciated here and that you will allow us to provide for all of your pet care needs. It is our goal that our patients and their families will receive the very best in quality care as well as personal and professional service at all times. Dr. David S. Rosene is married with two daughters. He is a 1984 graduate of the Tufts University School of Veterinary Medicine. Dr. Rosene also holds a Bachelor of Arts degree in Anthropology and Psychology from Washington University in St. Louis and a Master of Philosophy degree in Anthropology (Primate Behavior) from Yale University. Dr. Audrey Whang, a native of Cleveland, Ohio, attended Case Western Reserve University, earning a Bachelor's Degree in Biology in 1989. She then moved to Chicago, completing a Master's Degree in Biology at Loyola University of Chicago in 1991. Dr. Whang finished her education by completing a D.V.M. degree in 1995 at The Ohio State University. In June of 1995, Dr. Whang established herself as a small animal practitioner at Bramer Animal Hospital in Evanston, Illinois. In August of 2000, Dr. Whang moved to Whitefish Bay with her husband Dr. John Janssen, a Professor at the UWM School of Freshwater. 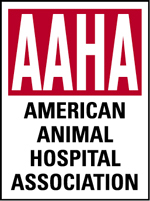 Dr. Whang began working as an associate veterinarian at our hospital in November of 2000. Dr. Whang and her husband still reside in Whitefish Bay along with their two sons, Andrew and Max and their whippet Sherman. Dr. Liz Young grew up in Oshkosh, WI. She received her Bachelors degree from the University of Wisconsin--Madison in Zoology in 1992. She then attended the University of Wisconsin School of Veterinary Medicine where she received her DVM degree in 1997. During her time in veterinary school she had a special interest in wildlife disease and exotic animal medicine and pursued externships at the Bronx Zoo in NYC, NY, National Wildlife Disease Center in Madison, WI and the Southeastern Cooperative Wildlife Disease Center in Athens, GA.
After graduation in 1997 she moved to Idaho Falls, ID where she took an associate veterinarian position at the Skyline Animal Clinic. She established herself as a small animal and exotics practitioner and also worked as a consulting veterinarian for the AZA accredited Tautphaus Park Zoo. After 11 years in Idaho, she moved back to Wisconsin in 2008, and took her position here at Shorewood Animal Hospital. Dr. Young lives in Kiel, WI with her husband Bob Hansen, her step children Annabelle and Christopher and their beautiful mutt Olivia. Away from the office she enjoys trail running and snowshoeing with Olivia and is an avid cyclist and cross country skier. Dr. Nick Tomaro grew up in Oak Creek and has lived back in Milwaukee since graduating from veterinary school at the University of Wisconsin in 2001. He is happy to be back at the Shorewood Animal Hospital, having split his time practicing here and doing emergency work and management at the Wisconsin Veterinary Referral Center. He enjoys all aspects of veterinary medicine, with special interests in emergency medicine and abdominal surgery. Nick earned a graduate degree in Environmental Health Sciences at the Zilber School of Public Health in 2016. Nick and his wife Blyth Meier live in Riverwest with their adopted dog Esther. Esther is a good trail running companion for Nick. Dr. Sarah Feirer joined the Shorewood Animal Hospital in 2014. She completed her undergraduate studies at UW - Madison in 2006 and graduated from UW Madison Veterinary Medical Teaching Hospital in 2010. Following graduation she completed a Small Animal Medicine & Surgery Internship. She then worked in emergency medicine at the Wisconsin Veterinary Referral Center from 2011 - 2014. She shares her home with a sweet Pittie mix named Mia and a wild gray & white cat named Emma. Dr. Feirer and her husband also have a beautiful little girl named Addison Rose born into their family in August of 2015. Dr. Kevin Joyce joined the Shorewood Animal Hospital in November 2018. He is a Wisconsin native, growing up near the Baraboo Bluffs, in Sauk Prairie. He graduated from veterinary school at the University of Wisconsin in 2011 and has been practicing in Wisconsin since graduation. His professional interests include anesthesia, pain management, internal medicine and advanced diagnostics. His favorite part of general practice is getting to develop lasting professional relationships and getting to work with pets through their entire life. When not at the clinic, Dr. Joyce likes to spend as much time outside as possible hiking, camping and canoeing. I have taken our cats to the veterinarians at this practice and I can say unequivocally that they are among the best in their profession. They have the knowledge and skill to diagnose and treat pets, they clearly care about taking care of their patients, they are excellent at communicating to the clients, and provide the best in compassionate, up-to-date medicine. Dr. Audrey Whang is the kind of vet we were looking for. She makes time for us, offers explanations we can understand, and gives gentle care to our anxious dog. I highly recommend her and Shorewood Animal Hospital.